Bath opened their European campaign with a big win while Scarlets were beaten on the road, but it's likely the Welsh outfit took more positives from the first round. The teams are in Pool Five along with Benetton Treviso, and clubs tend to view fixtures with Italian sides as an opportunity for a bonus-point win. But Bath fell short last week, labouring to a 23-0 victory, while the Scarlets were pipped by just one point at the home of three-time champions Toulon. Scarlets beat Toulon at home by one point in their pool last year, while they drew with reigning champions Saracens and comfortably saw off Premiership side Sale, so the Pro12 kings are always strong in front of their own supporters. 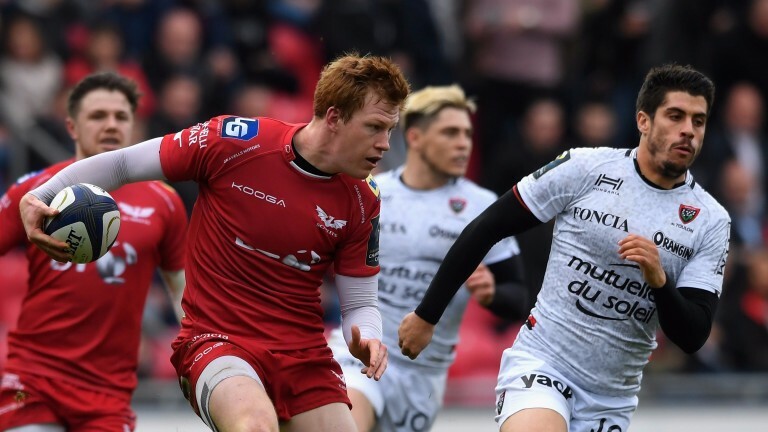 They have suffered just one league reverse this season - a creditable bonus-point defeat at highflying Ulster - and although the fixture schedule has been otherwise soft, Scarlets fought from behind to overcome Ospreys in their last domestic outing. That and the Toulon performance underline the Scarlets' battling qualities which should serve them well in what looks set to be a physical battle at Parc y Scarlets. Victories at Leicester and Wasps plus over Saracens at home are ticks in Bath's favour although there has been a lack of creativity in their last two away outings. They scored their decisive try at Wasps in the dying minutes, while they failed to cross in defeat at Northampton and there should be concern at the laboured attack against an obdurate Benetton side. Defence has been a strong point in Bath's performance but the absence of the suspended Francois Louw from their back row is a blow. The weather forecast shows rain all the way in west Wales so a low-scoring grind looks to be in store. The handicap may be a touch high at seven points but the value could be to back a narrow home win. In the Challenge Cup there's a huge clash between Pool Two rivals Toulouse and Cardiff, while Sale, who earned at draw at home to the Toulousains last week, go to Top 14 table-toppers Lyon.